Check out our DIY guide on how to fix a leaky faucet yourself. We included a list of all the tools needed as well as simple steps to follow. Fixing a leaky kitchen faucet is requires a lot of concentration, or at the very least an understanding about the tools being used. It is the most common problem among kitchen faucets, annoying even modern households. Besides wasting precious resources, your water bill will be higher than normal. Instead of watching your money go down the drain, home owners and renters should attempt fixing the problem at the source. Ignoring a leaky faucet will put your home in a bad position, and there is a very high chance that it is masking a larger issue. Getting the easy part out of the way will keep you from having to pay for massive damages later. Less than a year after a kitchen faucet is installed, you could face problems that requires a contractor’s help. The severity of the leak determines whether it is a problem that can be resolved with a DIY solution or one that needs a professional. There is no home that is completely foolproof from having a leaky kitchen faucet, even with the best maintenance methods. Having a little bit of know how in this situation can save you hundreds of dollars in repairs. 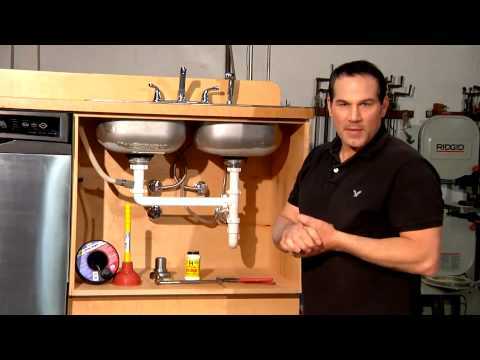 Kitchen faucet repairs based on simple leaks have low cost DIY solutions. The alternative is paying over $100 for a professional to do the same job. Having a leak doesn’t mean that extra materials need to be purchased. Sometimes a repair is as simple as tightening materials that have become loose over time. Touch sensitive water faucets are no more complicated than traditional ones. In a modern kitchen you won’t be at a disadvantage when handling a DIY project. Your water bill will go down after making a kitchen faucet repair. You’ll also prevent further damage to the pipes and faucet. Months of the leak not being fixed may make simple DIY projects a hassle. Calling in a professional will be your only option to resolve the problem. All kitchens aren’t made the same, so the little differences in a setup will impact how you do a repair. This includes pipes that are in out of reach areas without specialized tools. If you have a water softener, filter or other attachment, there is a higher chance of the job being difficult. The more variables you deal with, the higher chance there are more steps to resolving the problem. When you’re messing around with water without any experience, you run the risk of making simple problems worse. Going beyond what you’re comfortable with will turn a manageable problem into one that cost several hundreds of dollars. The DIY repair instructions given are not meant to be taken lightly. Although there is no element of danger, the frustration levels alone should prevent you from attempting repairs you’re uncomfortable with. Where Is The Leak Coming From? Where the leak is coming from will tell you a lot about the faucets condition. You can also search for other problems around the leaky area that completely halts a DIY fix. To search for a leak, dry the area around the kitchen faucet. You also want to clear anything underneath the sink that will block your view of the pipes. With the cabinets open and the leak in full view, monitor where the water is coming from. Do this without turning on the faucet, even if it takes a few minutes to identify a leak. Patience is your friend with this step so don’t take any shortcuts. Adequate lighting paired with open space will help you find any available leak. If you’re at odds on where it is coming from, put a cup in the spot where you think the leak drops. This method will produce a sound that is easy to hear when the water hits the surface. You only have to do this when the leak is hard to find, or in tight areas when it is impossible to move things blocking the area. Internal parts of the faucet will need to be replaced if the water drips out of the spout when the faucet is off. This points to deeper problems in the kitchen build that fall in the DIY range if it hasn’t progressed to a severe level. Slow drips when the faucet is off are considered a common problem, while fast drips are a completely different category. O-rings need to be replaced when there are leaks around the base of the faucet while the water is on. A weakness in this area is hard to miss, and you’ll see grime/mold/dirt/buildup surrounding the base where the water comes out. Grab the faucet and shake it to see if the base has loosened over the years. Shaking it lightly will show you how bad things have gotten where there is a leak, either by visual cues or by smell. In a situation where the water sprays from the top handle, replacing the cartridge or stem might be the best fix. The problem is this also relates to the o-ring, so you may only need to replace that part. Water spraying from the top handle is possibly the most complicated kitchen leak since it looks so severe. A leak this bad doesn’t happen overnight, and is most likely the result of parts lacking maintenance. The last type of leak to check for is one that is isolated to the base of the faucet. It is different when the leak happens at the base and from the faucet, and is much rarer. When the base is the source of the leak, you may have a pin hole problem. Checking the connections under the sink will bring you to the right conclusion. There should be noticeable water where the pipes are, even near the flex line connections. The basic materials you need to get started won’t set you back too much. They are common and in most households. When you go deeper into the repair process, it’ll reveal the problem enough so that you can make an educated guess on what piece needs to be replaced (if anything is broken). But usually the basic tools will do the job effectively and keep you from having to purchase expensive extras. Flat Head Screwdriver – This is the most basic of tools, so even if you don’t own one it’ll be easy to find. Any screwdriver will do the job, but a quality one will make a difference. It all comes down to how much work you want to put into the project. More information about flat head types is given in the price section, with a lot of the important bits covering brands. Hex Wrench – A Hex Wrench (also known as an Allen Wrench) will be another important tool for the project. It’s better to purchase a set rather than go for individual sizes. Doing this ensures you have the right size at all times. Crescent Wrench – Count the Crescentw as another tool that is better purchased in a set to accommodate all sizes. A Crescent Wrench is also known as a Box End, so you’ll be fine with either term. Drain Stopper – Drain Stoppers are self-explanatory and can be found anywhere. There are plenty of alternatives that can be used in its place. Drain stoppers are universal, and there are only a few cases where you need a specialized stopper. You can be a bit more relaxed with this purchase compared to the other tools. The most time consuming part is out of the way, but the hardest part comes now. Once you have all of the tools repairing a leaky faucet is a matter of skill. This DIY project is half scouting the source of the problem while the other half is actual work. Start the project by turning off the water to the faucet. You can do this by finding the shutoff valve, usually below the sink. Sometimes there will be one for each temperature, but they are also available as a single lever. Spend some time on this, but don’t go overboard. If finding the stop valve to the faucet becomes more trouble than it is worth, then shut off the water for the entire household. For shared properties or apartments this won’t be an option, so homes will have the benefit for this step. After the water is off, turn on the faucet to make sure that all residual water is gone. This will also ensure that the water has been cut and won’t cause any problems. You can then proceed to put a stopper or rag in the sink to prevent items from falling down the drain. Removing the faucet handle is the next task, which leads to more search time. Check to see if there is a cosmetic cover that is hiding a screw. It similar to how a toilet seat is designed to hide recognizable screws at the base. Take care when removing the screw that you don’t lose it. A good Pro-tip is that you may not have to completely loosen the screw to remove the handle. Any leftover screws (or nuts) also need to be loosened if you want to remove the main internal piece. This is where the Crescent Wrench is helpful in removing the remaining parts without damaging the finish of the faucet. Even if things are a bit rusted, using the Crescent Wrench in combination with a screwdriver should get the remaining bits off easily. There are three different types of mechanisms used for kitchen faucets; compression stems, cartridges and ball assemblies. There are plenty of visual cues that will let you know the difference between the three mechanisms, but it is best to get it right by recognizing the design. Single control faucets are most likely to be based on ball assembly or cartridge. Ball assemblies will give a visual queue (the handle sticks out of the ball) so there is no mistaken the design. Cartridge and compression stems are similar, with the main difference being that compression stems will have a handle that rotates a full 360 degrees. Cartridge mechanisms will go up to half a turn before reaching their limit. Of the mechanisms, compression style is considered old technology. Since they were considered the best for many years, plenty of homes and business establishments still have them. They also have the added benefit of allowing more water flow through the valves. All of this information may seem a bit much, yet it serves a valuable purpose; knowing the type of faucet mechanism will make more sense as you’re removing the internal working parts. If you place things out of order, knowing the type of mechanism will help make sense of random parts when putting it back together. At this point you should have a good idea of what needs to be replaced. Parts that need changing will be broken, rusted, or warped to the point that it’s no longer effective. The reason you went through so much trouble identifying and removing the internals has a lot to do with the next step. Bring the pieces that need to be changed to the store to get equal or better parts. This is a big step that is often done backwards as a DIY kitchen faucet project. Buying replacement parts before taking the entire faucet apart will make you buy unnecessary parts. Sometimes nothing is broken/warped/rusted and you can get away with tightening the internals. That is of course a best case scenario, but it is more common than you think. Once you return home with the replacement parts, put everything back together and tighten it fully. At this point, you should have a good idea of where every piece goes. The only thing that is detrimental to this part of the project is losing important pieces. The last test is turning the water back on and checking for leaks. With the new components in place, there should be no more leaks. If you’re still experiencing the same problem, then make sure everything is put back together correctly and tightened. You may need to replace a different component. Considering the time that it takes to complete this project from start to finish, when things go beyond the normal DIY completion, it may be smarter to call a professional. An in-depth setup mixed with hard work is the bulk of kitchen faucet repairs. A few helpful tips will make the entire project better, even if you don’t have experience with repairs. Remember that the bulk of the work comes down to scouting and disassembly. When you take the faucet apart, pay attention to the order. That way reassembling it will be quick and painless. Having to figure out where parts go is a big distraction at the close of a project. Don’t be afraid to shut all of the water off if you can’t find the shut off valve below the sink. It’s the easier solution and one that will prevent you from dealing with a messy cleanup. Go for identical replacement parts after finding the problem with components. Only go for off-brand parts if it is suggested by an associate or professional. This has more to do with compatibility than actual branding of the product. Finding out the type of faucet you have will save a lot of time upfront. You can even find all relevant information by looking the model up online and finding out all specific information needed for the repair. Model information isn’t always available, so don’t be surprised when a full teardown is the only way to find the type. Any tool you plan on using for this project should be wrapped in electric tape. This is purely optional and meant to protect the finish of the kitchen faucet. Electrical tape wasn’t added to the materials list. You can purchase it for under $2, with no preference for brand. Cost will vary based on materials and components needed. Some kitchen faucets only need to be tightened, so costs will never be the same per individual. That covers the tools, but what about the components for the faucet? Anything can be wrong, so listing them along with the price of the entire project wouldn’t make sense. Instead, here are notable components that are known to fail in a kitchen faucet.